Open letter Revised in the appendix below. I am pleased to present to you the induction project to the virtual Baden Powell Scout Palace that gives to former scouts and guides of the planet the possibility to be inducted to the Palace in various categories. This way, they will have the pleasure of telling the most remarkable stories that happened when they were involved in the movement. This non-profit project was created in 2006 for the Centenary of the World Scout Association (1907-2007) to foster a fellowship of former scouts and guides around the globe. However, because of my tenacity and my creativity, several positive elements have been added to this project since 2007. Your predecessor, Mr. Robert Nowlan, tried to nip the project in the bud when he chose to oppose me for no apparent reason. Due to the change of director at the Scouts Association of Canada, and since you are the new General Manager, it is your duty to put me back on track so that we may work together for the success of this great project. Please read the column "Letter of rectification and biography" in the Journal DP Project. It explains the conflict between Mr. Nowlan and me. By God's grace and thanks to my CPP, as explained in the Tenacity parchment that is part of the famous game of Kim of the scout Palace that's available at the BP Store, this project that was a baby not long ago, has now become a seven-year-old scout that is ready to be introduced to the public. Needless to say, Her majesty Queen Elisabeth II, World Chief Scout, will be pleased to know that I have kept on working on this wonderful project, as stated in the letter that I received from Her Majesty, dictated to her main correspondent, Mrs. Sonia Bonini, and dated July 21, 2009, in response to my letter of July 7, 2009. (Due to a combination of circumstances, and wanting it to coincide with the date I received my Queen certificate from her Majesty on July 28, 1959, and to commemorate half a century, I dated the letter July 28, 2009.) I quote the last line: "In the meantime, I wish you the best for the continued success of your project." You can read the response from Her Majesty by clicking in "The first letter to the Queen" in the fourth document. Therefore, this laborious work has been done because of my detractor who has helped me to come up with this project against his will. Consequently, we need to realize that an affiliation between Scout Palace Inc. and Scout Canada must be agreed upon soon for the sake of this wonderful charitable project. Her Majesty will be twice happy to see that she has contributed to the success of the Baden-Powell Virtual Scout Palace by encouraging the promoter to keep on working on this project. Thanks to this blessing, the idea of having done a very good deed (VGD) will spring in her heart before she departs for the hereafter. Therefore, she will be convinced to leave this world in a better state than when she came, which is exactly God's desire and that of the Scout Association's founder, Mr. Robert Baden-Powell and I. Would you go to www.scoutpalace-bp.org to get acquainted with this wonderful project that can be an economic, touristic and humanitarian asset. It will help sponsor many activities for the development of the youth. This project offers to Scout Canada an opportunity to receive millions of dollars for the scout and guides movement over the years, with sale of certificates and others. Considering all these possibilities, Scout Canada should take advantage of this opportunity without delay because the train (project) will soon be leaving for a one-way trip around the globe with the engineer and the conductor on board. Obviously, as an engineer and consultant, you or someone else, maybe Robert Nowlan who has become an admirer of the project as conductor, under my supervision. Therefore, I am greatly pleased to take off on two tracks, namely with Scout Palace Inc and Scout Canada, aboard the train named Baden. Consequently, we will need to communicate by email on such an important topic as the continuity pf the wonderful Baden-Powell Virtual Scout Palace, according to the wishes of Her Majesty Queen Elizabeth II, World Chief Scout. Following the letter of August 20, 2014, that I gave to Mrs. Myriam D'Auteuil, Assistant to the National Commissioner, I have added the following business proposal. Would you please read it closely, without prejudice, with a feeling of sincerity toward yourself ? It is obvious that after seven years on the road, Scout Palace Inc. and Scout Canada have come to a crossroad and the red light indicates a stop. Therefore, logically, we need to stop to avoid a collision. We also need to talk and act with wisdom and intelligence for the well-being of the scout movement. Therefore, here is my business proposal. 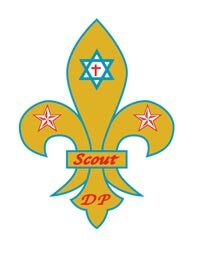 Since the concept of this project is fully financed by the consumer/payer, I offer to Scout Canada the opportunity to become a joint administrator of the site www.scoutpalace-bp.org with Scout Palace Inc. This is about the administration of the five certificates of the virtual BP Scout Palace, namely Induction, Humanitarian, Crown, Multi-wish cards and the famous certificate of the Lotto 50/50 of the Palace. Over the years, this one alone will generate millions of dollars to the movement. Consequently, I believe that the sharing of the sale's certificates is, in all conscience, something reasonable: 25 % of the sales will go to Scout Canada Francophone, 25 % to Scout Canada Anglophone, 30 % to World Vision and 20 % to Scout Palace Inc., a non-profit corporation. Normally, the first certificates' draw will take place during the 24th World Jamboree in the United states of America in 2019. Scout Reserve of the Summit: Bechtel Family- is located in the southwestern part of the state of West Virginia. Therefore, revenues from the sale of the BP Scout Palace certificates will help to cover the expenses of many of the scouts who will go to the Jamboree and other. However, Scout Palace Inc. reserves the rights to be sole manager of the Scout Palace Kim's game, of the Historic Pantheon, as well as the BP store. Nevertheless, I am open to the discussion concerning the adminnistration of the BP Store Palace. I am the author of all the material that is part of my last gadget (project), in addition to the three concepts with Kim's game. Consequently, united together toward the same goal we will leave this world in a better state than when I came in 1943, during the second World War that is still going on and will culminate in Harmaggedon, according to Bible prophecy. Therefore, Mr. D'Aoust, we must make some legal agreements without delay and depart in the same direction on board of the Baden train for a beautiful and long excursion around the globe that used to be, according to Genesis, the Earthly Paradise. In addition, I take advantage of this opportunity to announce the concept of the BP Sports Oasis franchise, to be sold in one of the regions of Lake Temis BP Sports Oasis, namely Rivière-du-Loup to Grand-Falls, including the Fort Kent region in Van Buren Maine (USA). The owner of this franchise will have the privilege of managing the bp-sportsoasis.com website and install the reception centre on his property while operating the famous Kim's game (a memorization and observation game) as wel as the sightseeing Town Tour game ready to be played. It is an important tourist attraction that will help the scout movement and other to flourish in the regions of Lake Temis BP Sports Oasis. The cost of the franchisee is to be discussed. The sale of the outdoor recreational activities certificates that cost 25 $ each is chared as follow: 25 % royalty on each certtificate sold over the years will be payable to BP Sports Oasis Inc, and 75 % to the franchised sector. Consequently, the promoter is commited in changing some texts regarding the project in order to improve the sites and make them more effective and operational and to satisfy the concerned people. Therefore, Mr. D'Aoust, since you are responsible for the compass of Scout Canada, as national commissioner and executive director, it is up to you to guide your fellow commissioners out of the bitten paths, while heading toward new horizons (perspectives) either by simple good deed (GD) by acceding to this charitable project or by making a business alliance between Scout Canada and Scout Palace Inc., a non-profit corporation, regarding this exceptional project, for the full development of young Canadian scouts. Bear in mind that I belong to the great family of the world and that I had deserved and received my Queen's Scout badge from Her Majesty on July 28, 1959,thanks to my chief, who became a mester scout. Mr. Henri (Ti-ri) Laplante was a friendly man. Because of the following facts, he was one of the rare people to receive, a few months after his enrolment in the Americain Army, his released from compulsory military service from Uncle Sam in 1959. Thanks to the intervention of his brother Albert and the Roman Christian Catholic priest Numa Pichette from the Notre-Dame-des-Sept-Douleurs Parish, so that he may take care of his aging and sick parents as well as the young scouts on a voluntary basis. Therefore, Chief Henri, considering the good deeds (GD) done in your lifetime, on behalf of all the scouts and other people who had the privilege of knowing you, sincere thanks and congradulations for being the first to be inducted to the Baden-Powell Virtual Scout Palace! Let's remember the singer Elvis Presley and the boxer Cassius Clay (Mohammed Ali), world champion, who by his courage, patience, perseverance (CPP), dared to confron Uncle Sam at the end of the 1960s. Consequently, in our time, why woudn't the governments take a certain percentage of the military budget today to pay the organizers of the movement and some people like Henri to look after young scouts and lead them to the right path for a better development of the youth, according to the desire of God, Baden-Powell, Her Majesty and I? At the time ofthe World Scouting Centenary 1907-2007, because of my age, I told Her Majesty that this project was my last gadget, as mentionned in the first letter sent to Her Majesty, Queen Elizabeth II, World Cjief Scout, dated July 28, 2009. In response, Her Majesty dictated a letter to her main correspindent, Mrs. Sonia Bonici, and stated the following in the last line: "In the meantime, I send my good wishrs to you for your project's continuing success." Therefore, this quote has been taken as an encouragement to finish my last gadget (chatitable project) scoutpalace-bp.org since it is illogicak ti think that Her Majesty would have guides me in the wrong path. The time has come seven years later to set the record straith. I believe that at that time Her Majesty the Queen hoped to see an alliance between Scout Canada and Scout Palace Inc. "For those who don't know, here in the definition of meantime according to Webster's New World Dictionary: in or during the intervening time, meanwhile." Therefore, it is up to you to act positively for the good of the movement and the satisfaction of Her Majesty for the many years that she served as World Chief Scout according to the Protocol that was established then. Once a scout, always a scout! I want to kindly remind you once again that the Canadian Scout Association and Scout Canada are not interested in this project, in one way or another. We disassociated ourselves since the beginning of your project. May I remind you that in the past you had received a formal notice from the Association via our attorney on this project. Finally, I am asking you not to use the names, the logos of the Canadian Scout Association or Scout Canada as well as those of the World Organization of the Scout Movement. You mislead the population, and unfortunately this is a hindrance to scoutism. Sent: February 18, 2015 - 4:51 p.m.
On January 26, 2015, I sent to your attention, by registered mail, the carbon copy of the fourth letter sent to Her Majesty Queen Elizabeth II, World Chief Scout. It informed her of this charitable, economical and humanitarian project that comes at the perfect time to help young Canadian scouts to thrive in an increasingly chaotic world. Consequently, some people are waiting for your decision regarding an agreement between Scout Canada and Scout Palace Inc., a non-profit organization. Therefore, I will call you next week in the presence of Bernard Lebel, Radio- Canada journalist, to find out what your intentions are regarding this wonderful business proposal that has been offered to Scout Canada. After some reflection, here is the answer to your email of February 18, 2015. Would you be kind enough to read this answer with an open mind, by eliminating all prejudice against the promoter of the Baden-Powell Virtual Scout Palace Project. As you may know, one of your predecessors, Mr. Pierre Desmarteau, Associate Director of Scout Canada, mentioned in his March 5, 2007 email that the project was worthwhile and interesting. It is an intellectual and charitable work that I have prepared since the world Centenary of Scouting (1907-2007), to the memory of Robert Baden-Powell, founder of Scouting. The leader of Scout Canada at that time, Mr. Robert Nowlan, Executive Director, acted prematurely, without thinking, hurt me unknowingly when this positive project, therefore divine, was only a draft. On June 8, 2007, he sent me a formal notice through the legal firm Legros and Grand'Maison for no good reason. Unbeknown to me, on June 22 and July 11, 2007, he spread some defamatory emails in an attempt to boycott this wonderful project, in addition to installing in my ankle a bullet with the word bandit. Therefore, it would be nice of you to remove the bullet. However, many readers will be happy to know that you decided to seat in the available chair of the train named Baden, as specified in the letter below dated August 20, 2014 in the paragraph, "Considering all these possibilities...."
Normally, you don't have to follow the same path as your predecessor because it was an error of judgment on his part to act like that toward a former scout of the Queen and in memory of the founder of scouting. Now it is up to you to act wisely and conscientiously. Listen to the voice of conscience, if any, for the wellbeing of the scout movement, then you will become, by this good deed (GD), a laudatory man who is admired by all, for acting smart. Obviously, the founder of world Scouting, Robert Baden-Powell, as well as millions of former scouts and forty million current scouts will be happy to know soon, through the medias, that the Baden-Powell Virtual Scout Palace, in memory and in honor of the founder, is being realized, even though this project is not yet approved by the person in charge of the compass of Scout Canada, due to a character flaw. Logically, to save time and money, we must act smart and get along, instead of dealing with a network of schemers. Talk to my friend Claude Robinson.org, whom I am pleased to present as the first person to be inducted into the historical Pantheon of the Baden-Powell virtual Scout Palace under the heading Pantheon. Honestly, Mr. D'Aoust, what is the reason for this formal notice and the refusal of an agreement between Scout Canada and Scout Palace Inc., as proposed in the fourth letter sent to Her Majesty Queen Elizabeth II, World Scout Chief? It is an aberration on your part to refuse this alliance. (According to the dictionary, aberration means the act of departing from the right, normal of usual course. It is contrary to reason and logic.) This alliance is about an important and very lucrative business proposal to help cover the expenses of many scouts who come to the BP Sport Oasis of Lake Temis for personal growth and to help improve the economy of the Oasis region with the famous game of Kim, an important and unique tourist attraction. This Oasis is located on the lower St. Lawrence River, that is from Riviere-du-Loup to Grand-Fall in the Northwest of New-Brunswick, right up the Saint-John River. Consequently, if there is no rectification soon from Scout Canada, I will have to think that Her Majesty led me to a good path but ignored that along the way someone who is unintelligent would change the road signs in an attempt to lead me to the wrong way, even though Her Majesty would like to see the realization of this project, as stated in her answer to the first letter dated July 21, 2009, dictated to her main corresponding secretary, Mrs. Sonia Bonici. She wrote the following on the last line and I quote: "In the meantime, I wish you the best for the continuous success of your project." It was about the Induction to the Baden-Powell Virtual Scout Palace. According to the Webster's New World Dictionary, unintelligent means having or showing a lack or deficiency of intelligence. Therefore, in the event of another refusal concerning the proposed alliance in the fourth letter from the Queen, the money will be given to World Vision and Doctors without Borders. I am waiting for an email from you by May 6, 2015, to inform me of your decision on this important alliance. Therefore, Mr. D'Aoust, I suggest that you contact the leaders of all the scout sectors of Canada who would receive this money to help with the development of the young scouts. Mr. D'Aoust, I wish to inform you that, in a spirit of malignancy, some members of the Scout Association have started to plagiarize (steal) parts of my project under the heading Former Scouts on the virtual Baden- Baden-Powell Scout Palace in the foundation scout.ca Website. They do not respect their scout pledge. What a sad example of dishonor! However, I invite you and your accomplices (who agree with you to destroy this project) to a serious examination of conscience. As a conscientious pathfinder (scout), I have to tell you the truth. It is up to you to choose your God and become the slave of the one that you choose to obey. Having said this, I hope to contribute to the personal growth of all our readers who aspire to moral and spiritual perfection, so as to be entitled to eternal bliss, according to the Holy Scriptures, the Bible, the word of God, Gospel of John 1:1.